This brilliant illustration is from Paul Boston’s recent commission with Common Ground magazine. 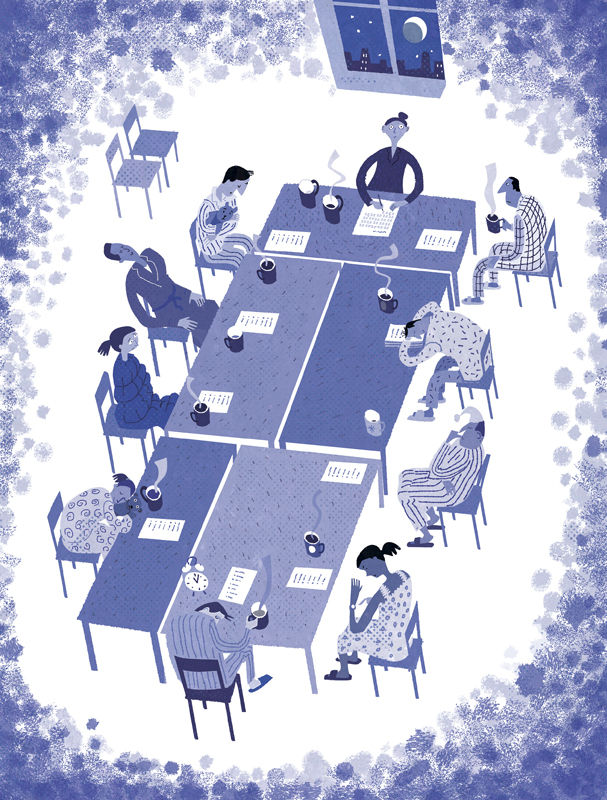 Paul worked in a limited colour palette to produce this artwork to accompany the magazine’s article on the effectiveness of night meetings. To see more of Paul’s work, click here. Paul Boston is represented by Meiklejohn. Published on 30 March 2016.